When we hear the word ritou（ritou. lit. : outlying, remote islands) we usually think of a very far away land. But there are actually some such islands you can get to from Fukuoka in a flash. 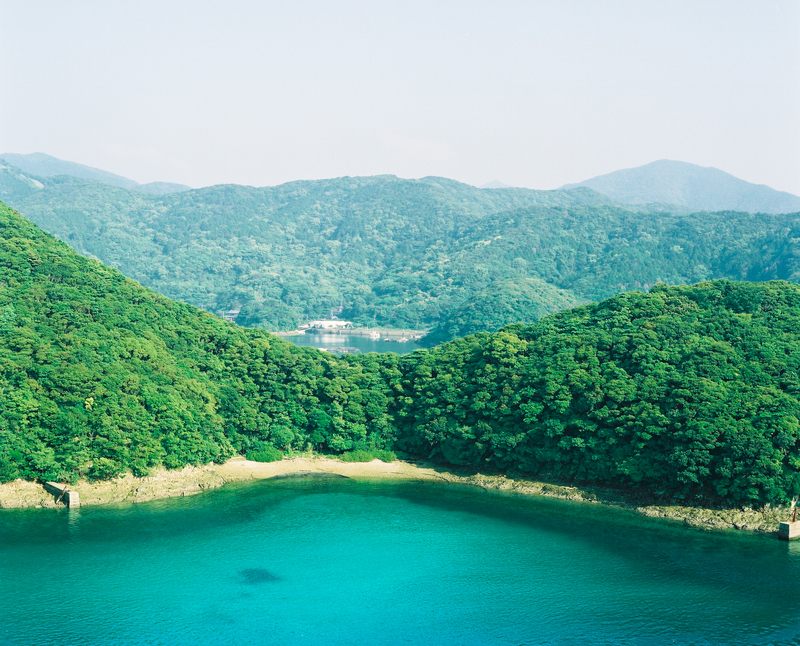 Once in Fukuoka, you can get to these nearby islands in no time at all. And despite being so close by, you will be transported to a whole new world, experiencing a plethora of cuisines, cultures, and activities you won’t find anywhere else. Check out these five beautiful, charming islands, and be sure to pay them a visit! For more information about these five islands you can visit Reto-Channel. From Reto-Channel’s website you can find detailed information on how to get to the islands, seasonal tourist information, and more. You can even find special offers on accommodations (Reto Project). 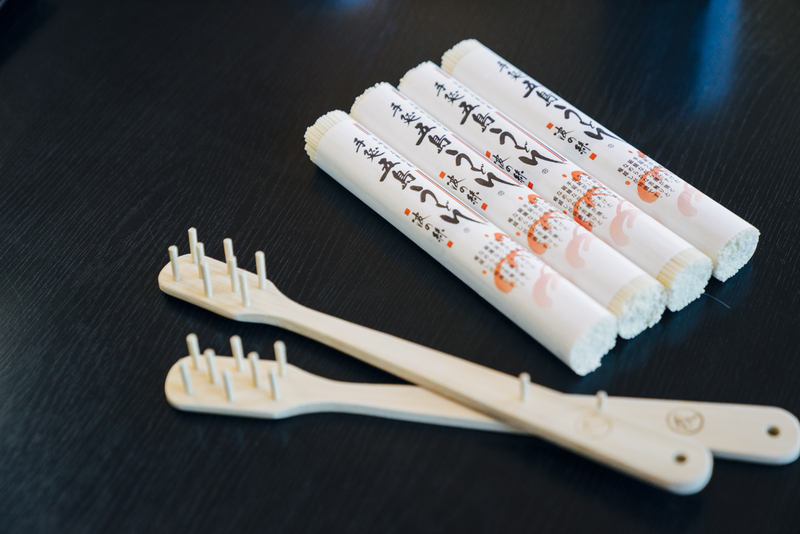 What comes to mind when you think of Tsushima? The Tsushima Leopard Cat? An island on the very outskirts of Japan? 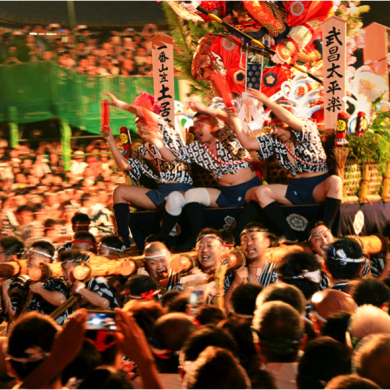 Tsushima is home to a unique culture born on this island found on the border of the country. 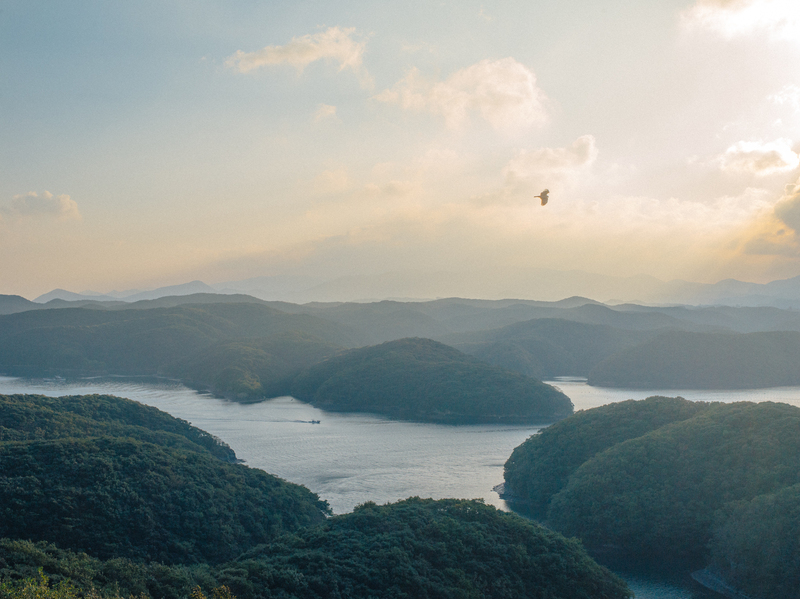 During ancient times, Tsushima was at the forefront of cultural exchange between the Japanese archipelago and mainland Asia, making the island’s landscape feel like something taken straight out of an ancient historical novel. 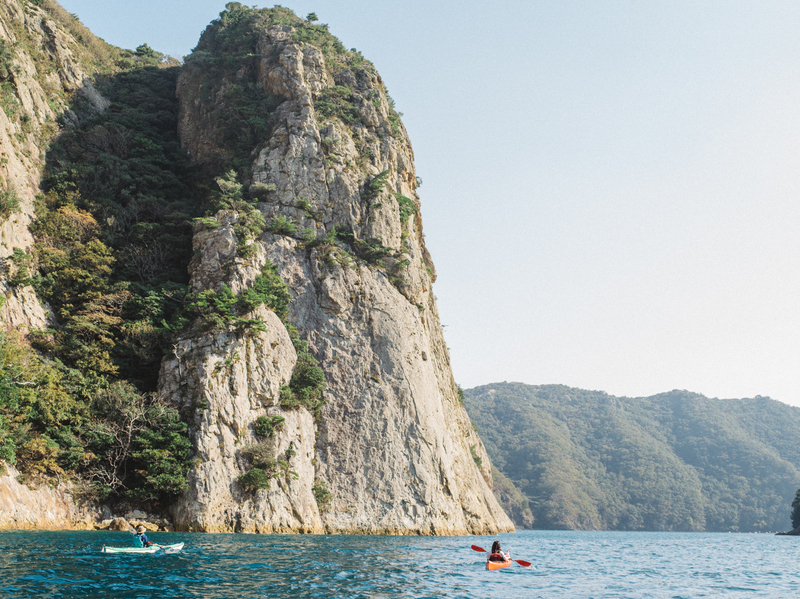 Hop in a kayak from Aso Bay to experience the virtually untouched scenery as it was originally seen by the Sakimori some 1300 years ago – no kayaking experience necessary! Tsushima is truly as if taken straight out of a historical novel. But Tsushima is rich not only in historical culture. You can also catch a 360-degree view of the absolutely stunning landscape spread out over the horizon from the Manzeki Viewing Platform. The greenery here is somehow different from that of the surrounding islands and mainland. Here the pure waters infused with abundant minerals from the island flow back into the sea. The salts, seaweed and fish found in these waters are particularly beautiful, nourishing and rich in flavor. This island is truly a mineral wonderland. What is Iki more famous for than its gourmet delicacies? 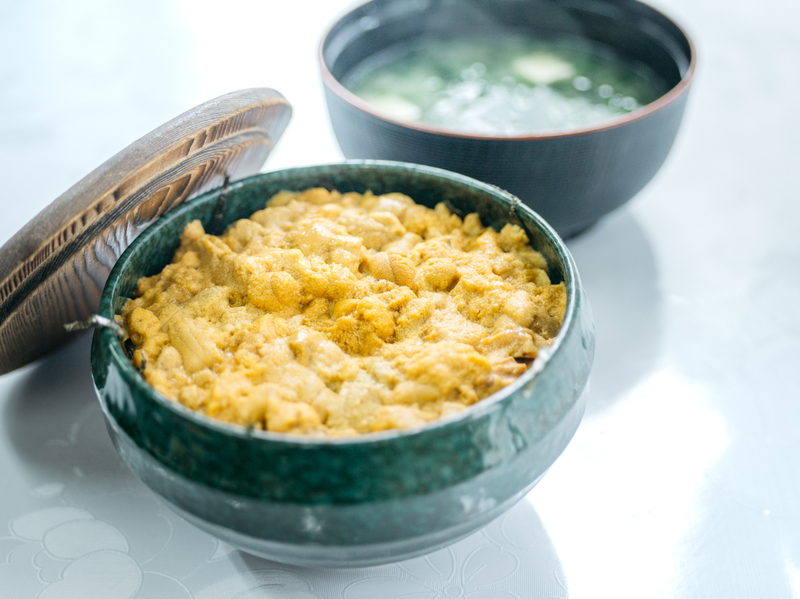 In addition to being the birthplace of barley shochu, Iki is also known for its sea urchin caught by the free-diving ama fisherwomen, as well as Iki beef and rice. With fare from both surf and turf, Iki boasts some truly top-level cuisine! Iki’s history dates back to ancient times. 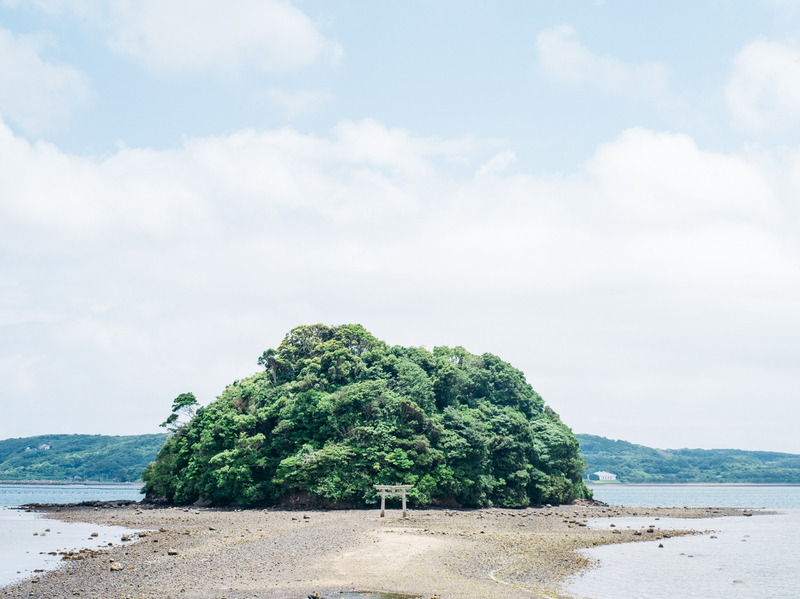 This small island boasts a total of over 150 shrines both large and small, many of which have many years of history, including the Tsukiyomi Shrine, which as legend has it is the birthplace of Shintoism. There is also Kojima Shrine, known as the Mount Saint-Michel of Iki, which you can reach by crossing over to the shrine at low tide (at high tide, it becomes an island). Why not come cleanse your soul amongst the pleasant, pure air of this island’s shrines? 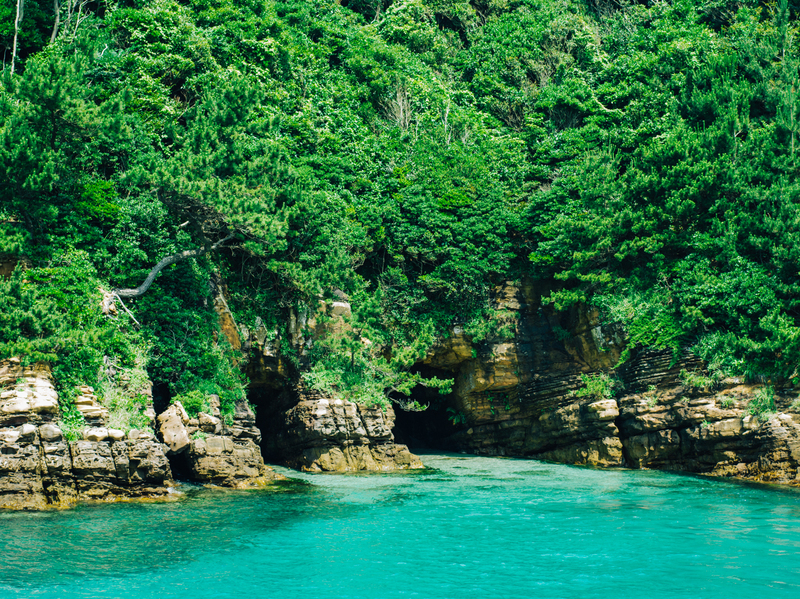 Take a Tatsunoshima Cruise through the emerald green waters of the far-reaching beaches and breathtaking cliff-tops. You will feel as if you are at a theme park! Iki is home to countless little-known treasures which will not disappoint. Why not recharge both in body and in spirit with a visit to Iki Island? Part of the Goto Islands, home to several churches registered as world cultural heritage sites and one of everyone’s favorite best-kept secrets, Shinkamigoto-cho is located in the northern part of the archipelago. The islanders have had the following to say of this famous church: “The building itself is of course beautiful, but the feelings of those who, during times of hardship, decided to construct these buildings in the most beautiful of places are also beautiful in and of themselves.” Come experience not only the buildings themselves, but also the “picture” of the history they paint. 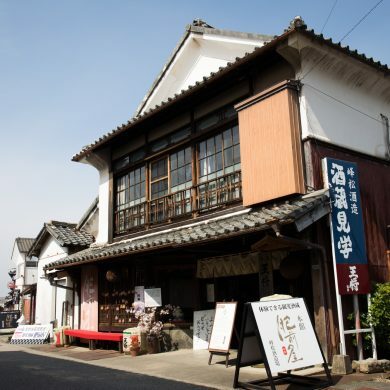 While the island also boasts traditional whale dishes and fresh seafood dishes, it is likewise the birthplace of the jigoku daki (hell’s cooking) method of cooking goto udon, so it is well worth trying some when in Shinkamigoto-cho. To get to Shinkamigoto-cho, just take the Taiko Ferry. The ferry leaves Hakata port at night and arrives at Shinkamigoto-cho first thing in the morning, so you can make the most of your full day on the island. The view of the sea at dawn in the summertime is also unbeatable, so be sure not to miss it! 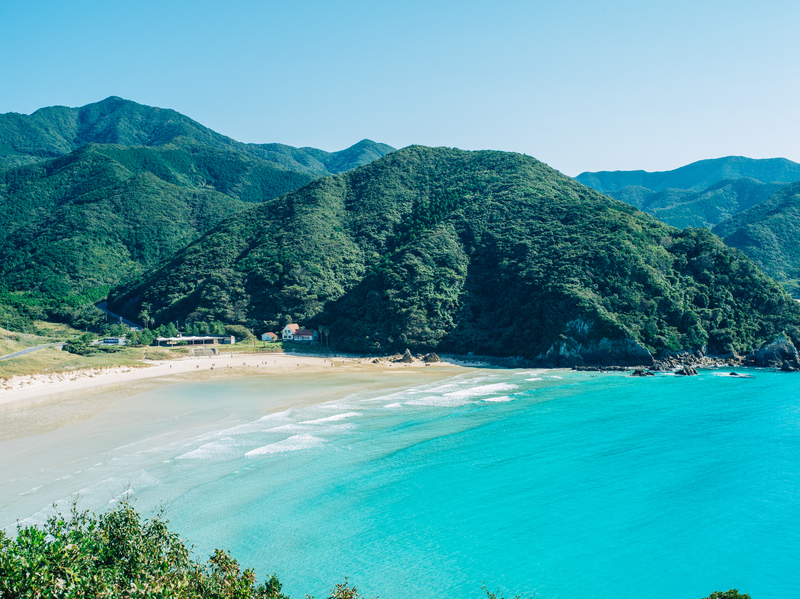 The home of Takahama Beach, often hailed as the number one beach in Japan, as well as Tontomari Beach and Kojushi Beach, this island boasts some truly world-class scenery. 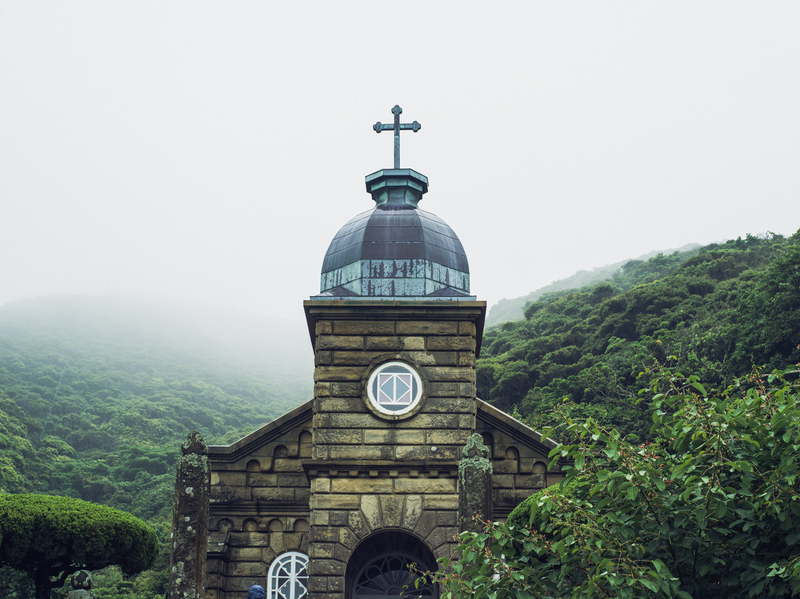 It is also home to some beautiful churches as well as a small settlement established on a cove in the valley maintained in secret by Japan’s Christians throughout the years. 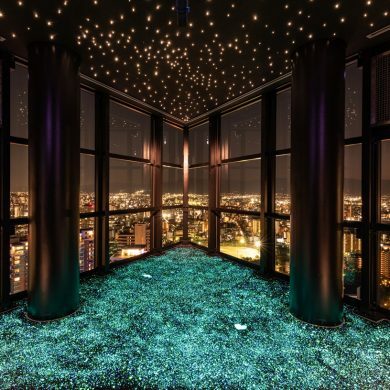 There is also a spectacular view of the Osezaki Lighthouse. Located in the southwest part of the Goto Islands, Goto City has a deep-rooted history and is blessed with an abundance of scenery that simply cannot be found anywhere else. 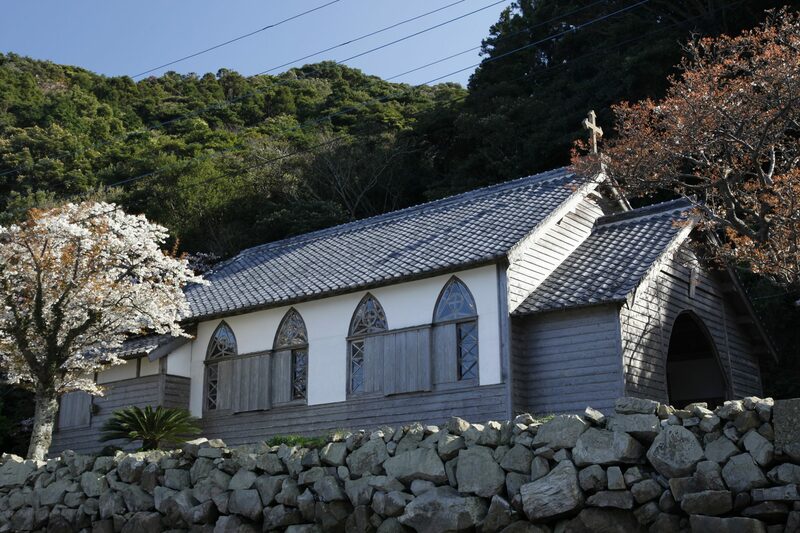 This hidden Christian site of Nagasaki and the Amakusa Region was recently inscribed as a World Heritage Site in July 2018. 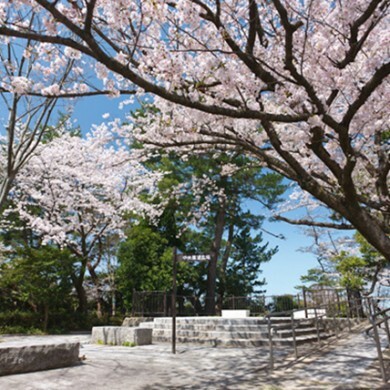 Goto City is home to two world heritage sites, Hisakajima no Shuraku and Narushima no Egami Shuraku. Christianity was prohibited in Japan for a period of two centuries starting in the 17th century, during which period those who came to be known as the “hidden Christians” continued to practice their faith in secret. Under the guise of established religions such as Buddhism, they cultivated a unique, characteristic religious structure of their own not often seen throughout the world. Finally, as part of the “Discovery of the Hidden Christians”, the construction of this cathedral in the restored settlement by the Catholics marks the end of the hidden Christians’ cultural tradition. 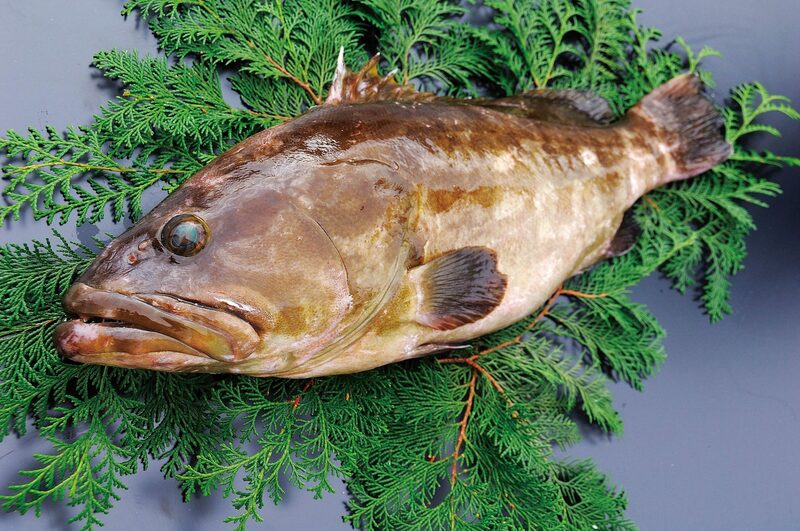 The longtooth grouper, a juvenile fish, is a highly-prized type of fish known and loved by the local islanders, where it is known by the name ara. It is rich in collagen, a type of gelatin popular among women. 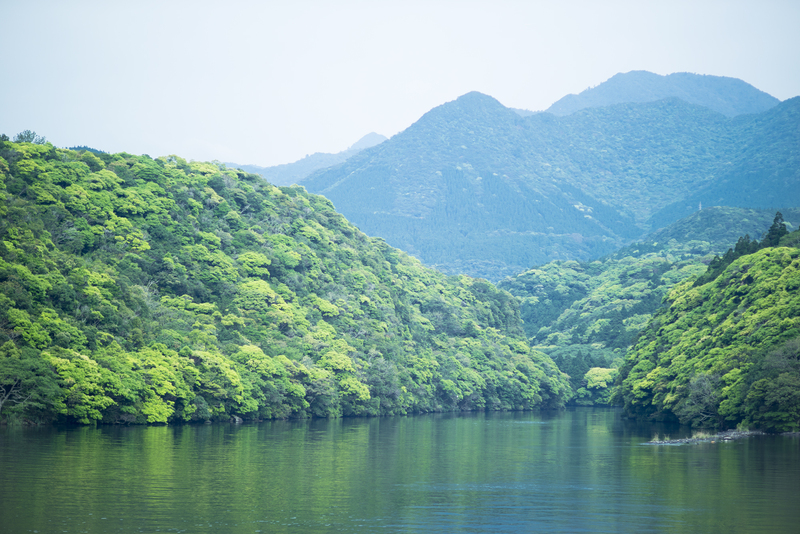 What comes to mind when you think of Yakushima? Perhaps the Jomon sugi (a variety of Japanese cedar native to the island)? Or the Natural World Heritage Site? 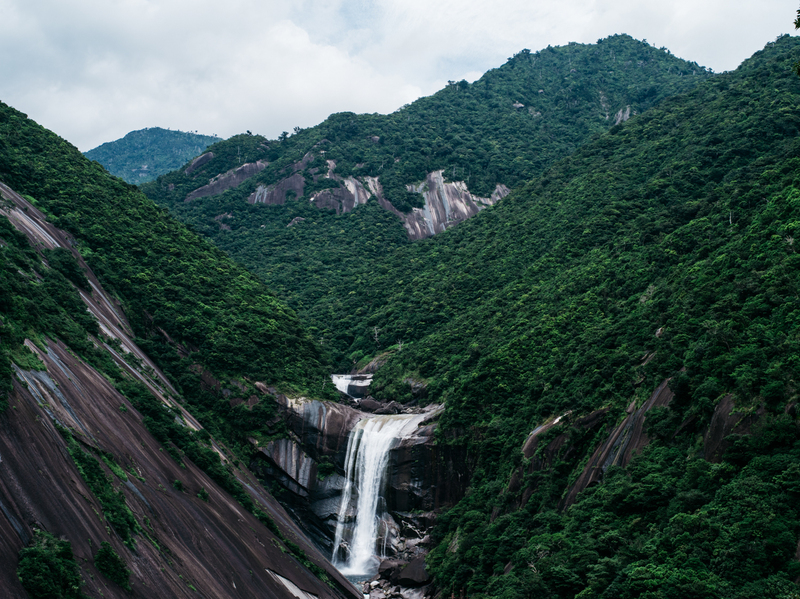 While Yakushima is of course famous for these things, the island in fact has much more to offer as well. The island is home to a variety of protected species that can be seen from all over. If you decide to go diving, it is said that you have a 99% chance of spotting sea turtles! 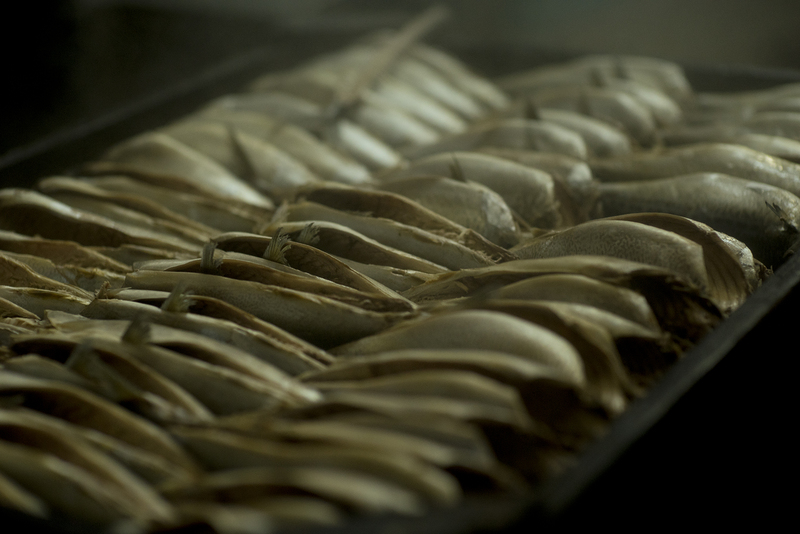 And then there’s the local delicacy of the island, sababushi (dried mackerel), with aromas and flavors so delicious that it can be enjoyed on its own and will surely have you coming back for more. Come gaze up at the island’s calming skies and experience the wonder of its natural scenery, taking in the spectacular nature, culture, and hard work of the island’s people. Allow yourself to relax on the island of Yakushima, emerging from the depths of the surrounding ocean waters. Enjoy the weather of a typical day, where the sun-kissed ocean stands in contrast to the mountainside shrouded by the clouds and the mountain surface emerges starkly from amongst a blanket of steam. 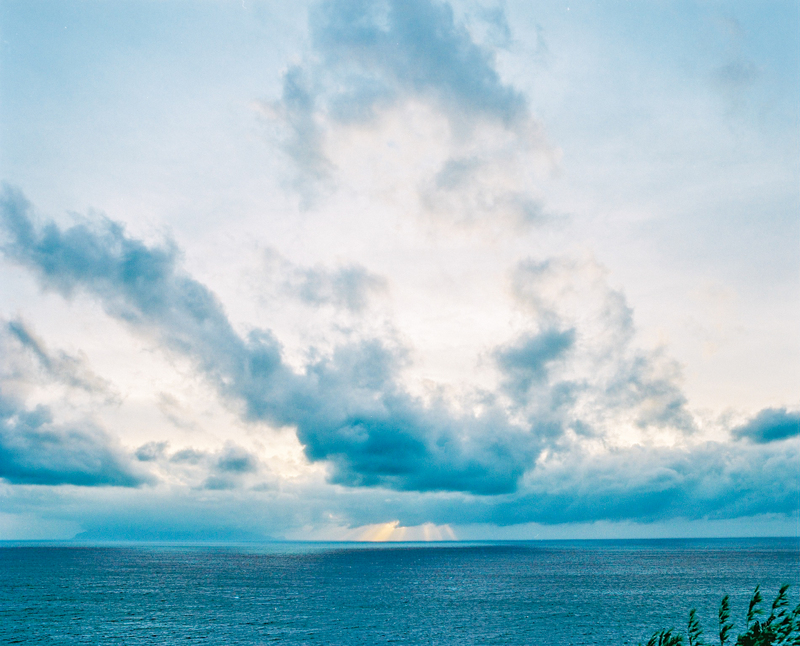 Take a hike through the mist of the mountain’s valleys after the rain clears, taking in the many faces of the island’s skies. Time will fly by as you slowly gaze upon the early morning clouds as they flow by one by one. 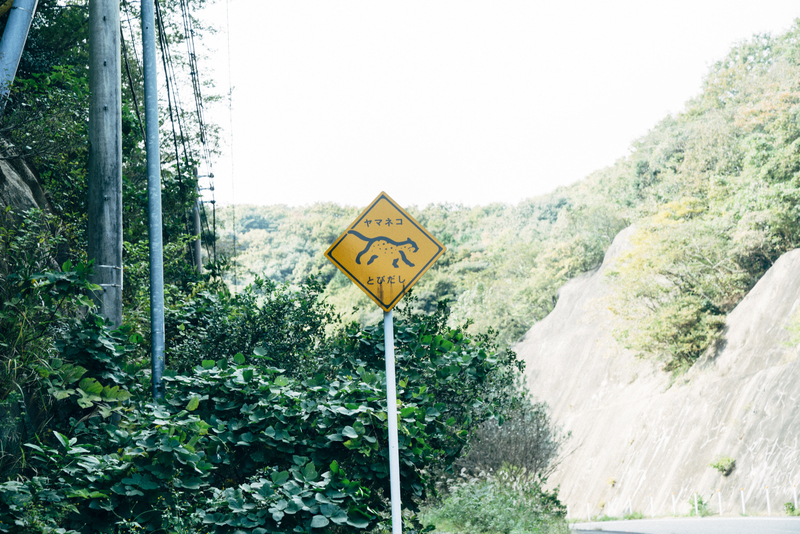 No matter how many times you visit, there is always something new to discover on Yakushima. What are you waiting for to discover the many wonders that this world-famous island has to offer? Just a short flight away, the view from the flight itself is spectacular. While enjoying the view of Unzen and Sakurajima from aboard the plane, you will arrive at this world heritage site before you know it.